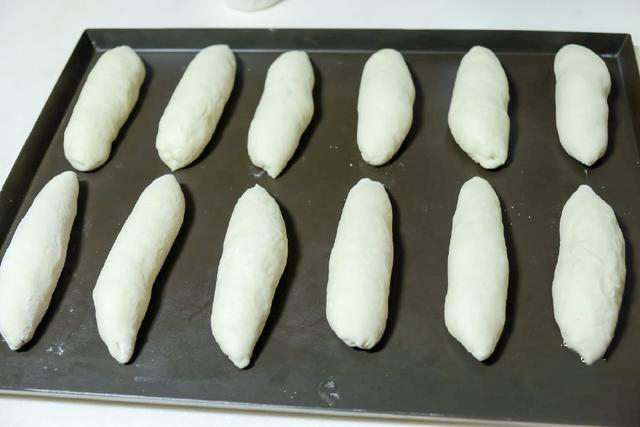 When it comes to making bread, many people think this is a long and difficult process. But when you really put your mind to it, with the right recipes and instructions, you will find that making a loaf of bread or even a cake is not as difficult as you think! 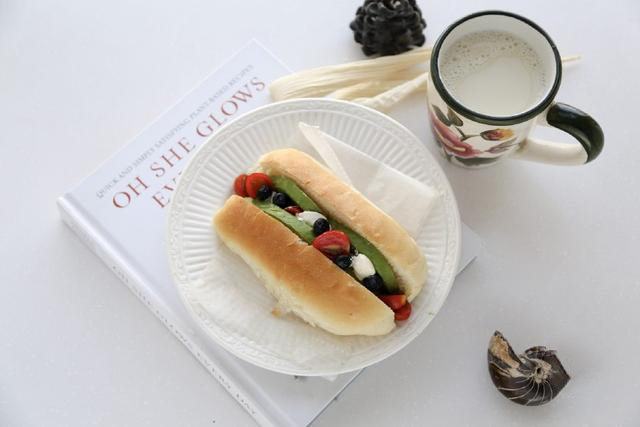 Today I will share with you a simple Hot dog bun. 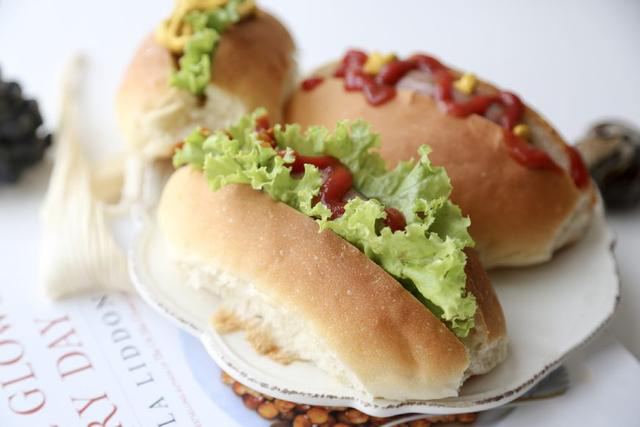 The hot dog bun is the most common and simple type of bread. 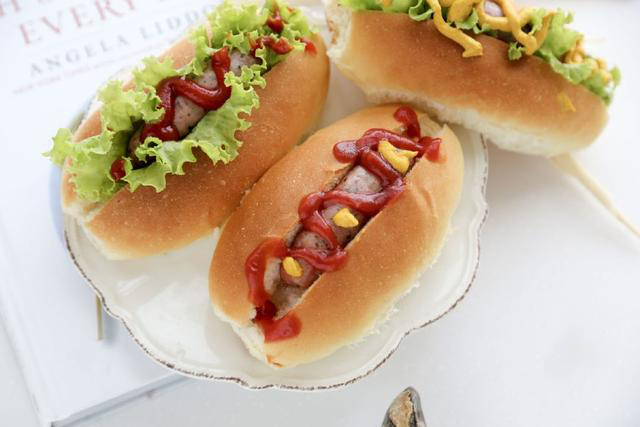 After they are baked, simply cut down the middle, add all your favorite ingredients and dressings and a hot dog, and you have a fantastic homemade snack without any preservatives! The most important step in making bread is to pay attention to every step closely. So below I’m going to explain how to make these as simply as possible. Step 1. 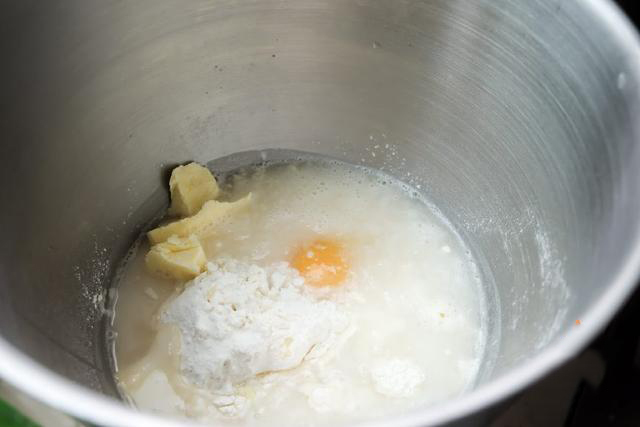 Add half of the butter and all the bread ingredients (not dressing ingredients) are added into a bowl and mixed. Step 2. 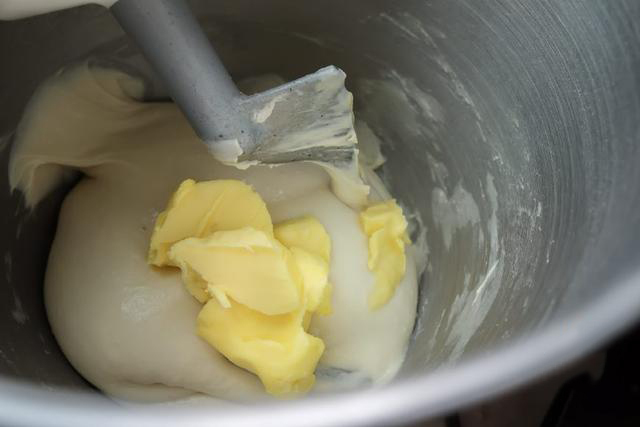 Add the rest of the butter after 10 minutes and continue to mix. Step 3. 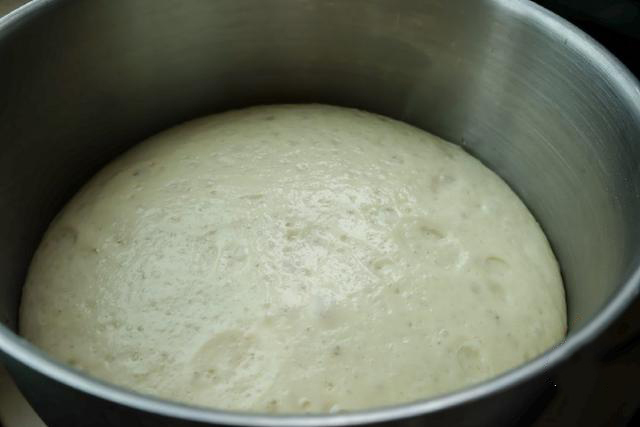 When the dough is done mixing, it will look and feel smooth and stretchy as shown below. Step 4. 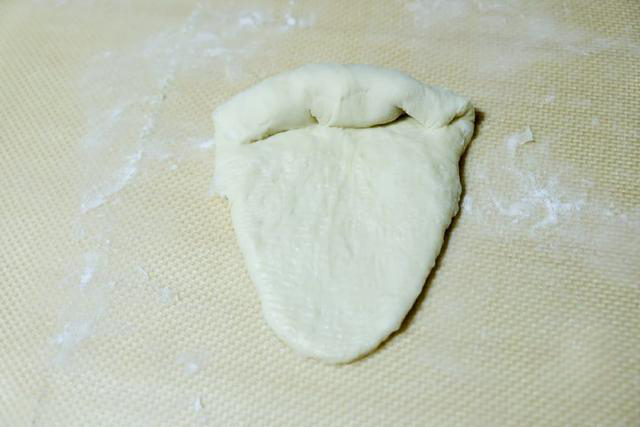 Put the kneaded dough in a warm place to proof until it is about 2 and a half times bigger. Step 5. 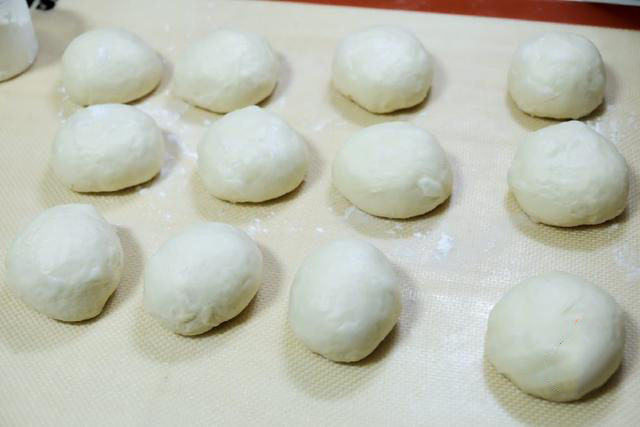 After the dough is fermented, take out and divide it into 12 portions, round and continue to rest for 15 minutes. Step 6. 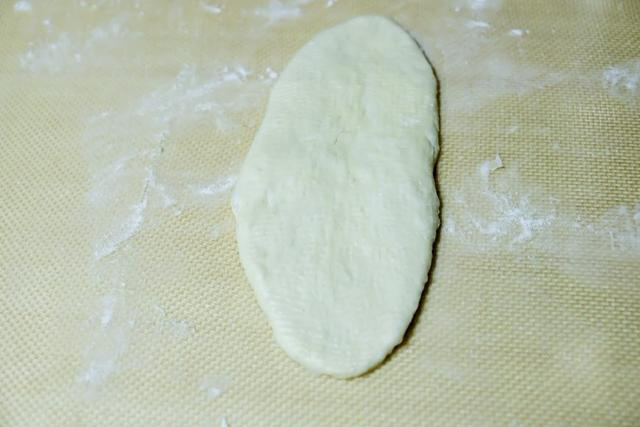 After it is done resting, use a rolling pin to knead the dough into an oval shape. Step 7. Then turn the oval dough over and roll it up. Step 8. When it is completely rolled, push the ends in, and the seals needs to be pinched, otherwise it will open when baked. Step 9. 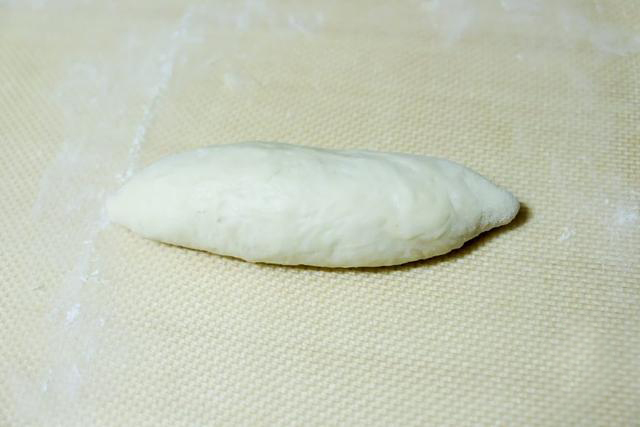 Put the rolled dough seam-down on the baking tray and move to a warm place to continue the rising again until the dough becomes 2 times larger. Step 10. 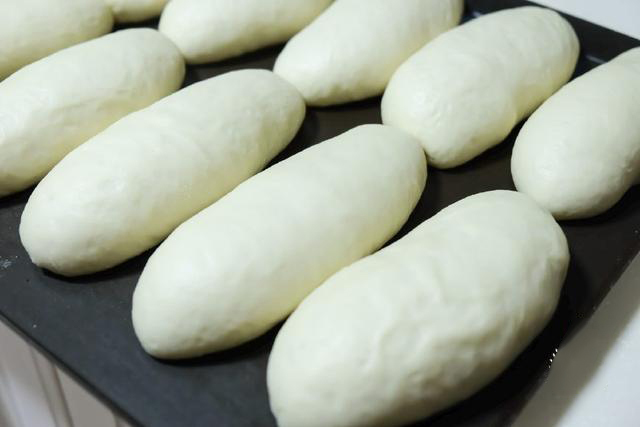 Bread dough is brushed with a layer of egg wash. Preheat the oven to 170 degrees and then bake the dough for 10 minutes. Step 11. Take the pan out to let cool. 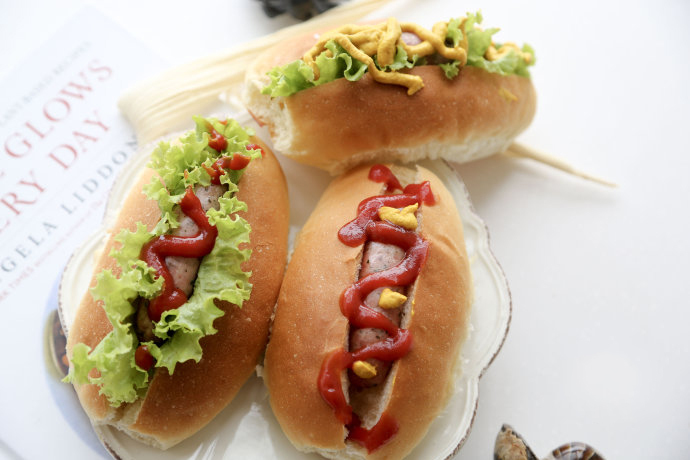 Then cut down the middle, put in the lettuce leaves, squeeze some ketchup (or your favorite sauce), then add the grilled or fried sausage and enjoy this delicious snack! 1. 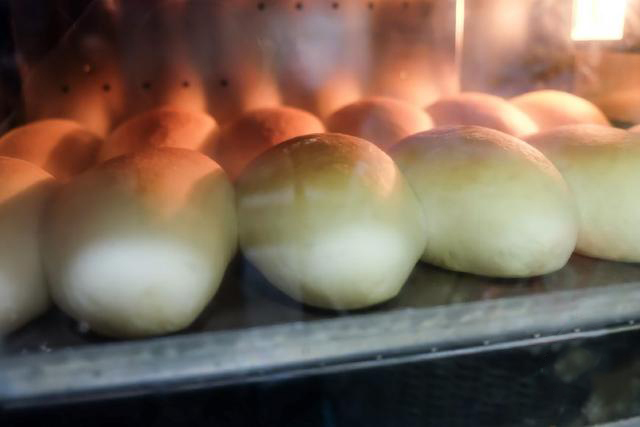 The general bread baking time is relatively short, about 10 minutes, everyone must pay attention to the time, so the bread is a golden brown color. 2. The above mentioned process of proofing can not be omitted. 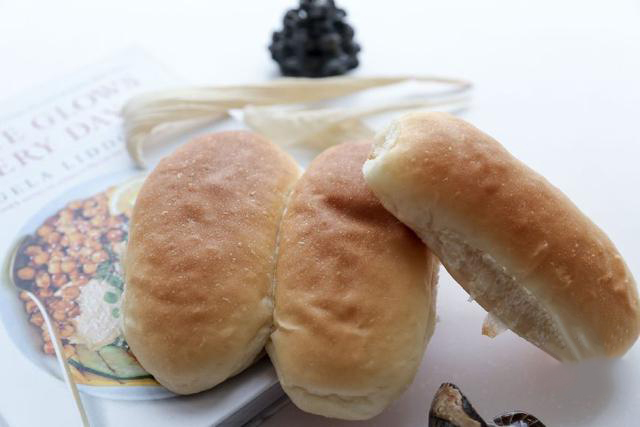 If there is not enough time to rise, the buns will not be soft and airy. 3. Because of the difference in water absorption of different varieties of flour, the amount of water in the formula is for reference only, please adjust the amount of water according to the actual situation. 4. Sausage is best when fresh and still hot after cooking! 5. The oven should be preheated in advance, about 10 minutes. This step is very important, don’t omit.